Where can you get free lunch and great tips on landing the career you want? At the ‘Tools for our Times’ Resumé Building Workshop of course. 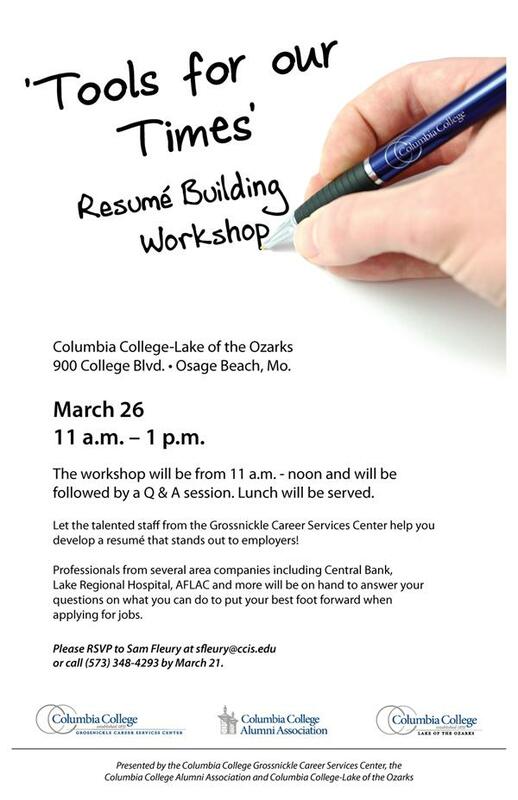 Professionals from the Grossnickle Career Services Center, AFLAC, Lake Regional Hospital and Central Bank will be on campus to assist you in putting together a quality resumé and putting your best foot forward when applying for jobs. Please RSVP to Sam Fleury at sfleury@ccis.edu or (573) 348-4293 by March 21.